Gallbladder pain is a general term used for describing any pain from diseases that are related to the gallbladder. 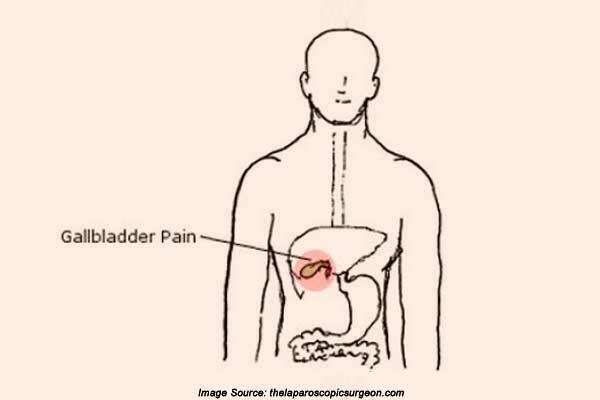 There are different problems that can cause gallbladder pain, but the major ones are biliary colic, pancreatitis, gallstones, cholecystitis and ascending cholangitis. The gallbladder is linked to the liver through ducts that supply bile to the gallbladder where it is stored. The bile ducts then form what is called the common hepatic duct that joins with the cystic duct from the gallbladder forming the common bile ducts which empties into the duodenum (GI tract). Additionally, the pancreatic duct typically merges with the common bile duct right before entering the duodenum. 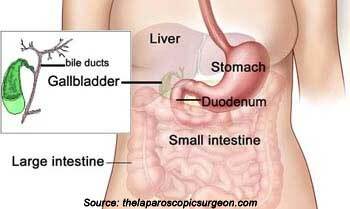 The release of bile from the gallbladder is triggered by certain hormones when fat and amino acids are in the duodenum after eating. It facilitates the digestion of such foods. Gallbladder pain varies from one case to another depending on the problem and its severity. 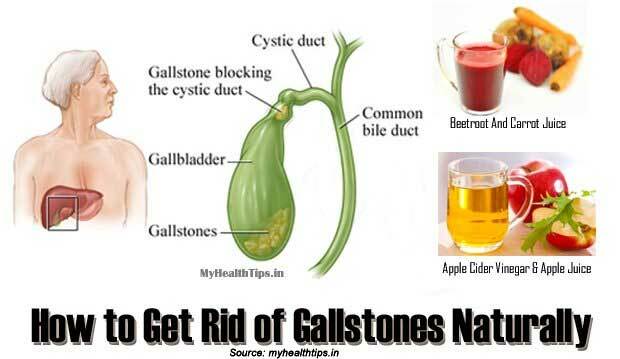 Many people who have gallstones don’t even experience any pain. However, certain variations of the pain can help the doctor in making a diagnosis. Biliary Colic – The pain is sudden and rapidly increases in the upper right part of the abdominal area or epigastric area. Some people can experience pain that radiates towards the right shoulder and develop nausea and vomiting. The pain typically subsides within 5 hours although a mild ache may persist for a day or two. Cholecystitis – The pain is severe and steady in the right upper abdominal area. It may radiate towards the right shoulder or back and there is abdominal tenderness when pressed or touched. Sweating, vomiting, nausea, fever, chills and bloating may also be experienced. The discomfort usually lasts longer than biliary colic. Acalculous Cholecystitis – The symptoms are similar to cholecystitis, but this is directly from a complication of other problems such as trauma or burns. The patient typically has severe symptoms and appears very sick. Pancreatitis – This is when gallstones block the duct of the pancreas causing inflammation. It causes upper abdominal pain that may radiate to the back and abdominal tenderness can be experienced. The pain increases after eating and nausea can also occur. Ascending Cholangitis – It causes fever, abdominal pain, jaundice, confusion and can even cause low blood pressure. This is a medical emergency. As previously stated, there are a number of problems involving the gallbladder which can cause pain. The two major causes are classified as 1) when it is due to intermittent or complete blockage of ducts caused by gallstones or 2) when there is a gallstone sludge and/or inflammation from the irritation or infection of surrounding tissues that cause partial or complete obstruction of ducts. 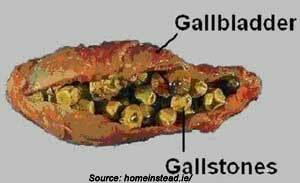 Gallstones typically form in the gallbladder, but it can also form in any of the ducts. A comprehensive medical history and physical exam help in establishing a presumptive diagnosis. Pain or temporary respiratory arrest from deep right subcostal palpation (also called Murphy’s sign) is about 95% specific for acute cholecystitis. There are laboratory tests that can help determine the particular problem causing gallbladder pain including liver function tests, complete blood count, lipase, amylase and X-ray of the abdominal area. 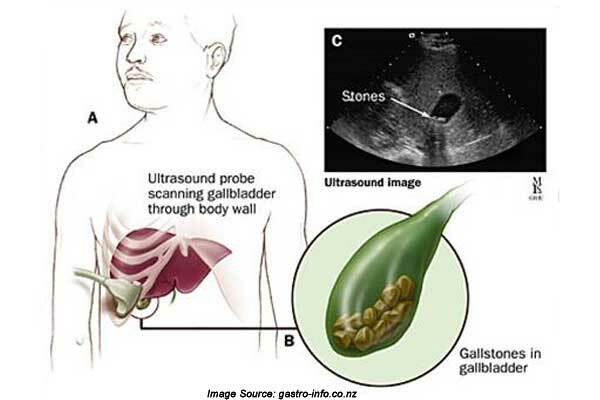 An ultrasound can be used to detect gallstones and a CT scan may help define organ structural abnormalities. An HIDA scan can be used to measure the emptying of the gallbladder while an ERCP test can also help with diagnosis. An MRI is sometimes used to check organ structures and pinpoint the cause of the problem. 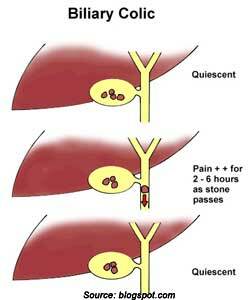 If a person has gallstones but doesn’t experience any pain, there is no treatment needed. Some patients only experience one or two attacks that don’t require any treatment. Pain during acute attacks can be treated with morphine. 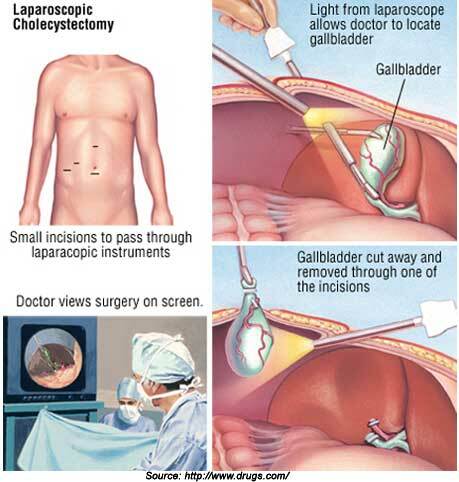 The definitive treatment for chronic pain is the removal of the gallbladder or gallstones through surgery. Currently, laparoscopic surgery is the most popular surgical method because it is the least invasive. In some cases, more extensive surgery is needed. There are home remedies for gallbladder pain like alfalfa, peppermint apple cider vinegar. However, there is little evidence that these are effective. Also, you should check with your health care provider before trying any of these remedies. After the removal of the gallbladder, you need to follow a strict diet that will be given by your doctor. For instance, the consumption of nuts should be avoided because these can cause digestive problems. Gallbladder pain can be caused by a number of problems. If you experience gallbladder pain or pain in the upper right area of the abdomen, it would be best to consult your health care provider for an accurate diagnosis and the corresponding treatment.